Do you know of any brands publishing on Steemit?steemCreated with Sketch. Publishing content has never been more profitable, if you're doing it right. Steemit has blown conventional monetisation models out of the water with it's ingenious model. Forward thinking brands are starting to view publishing on Steemit, not only as a marketing effort, but as a substantial and consistent revenue source, making thousands of dollars every day. Please let me know of any mainstream brands publishing to Steemit. 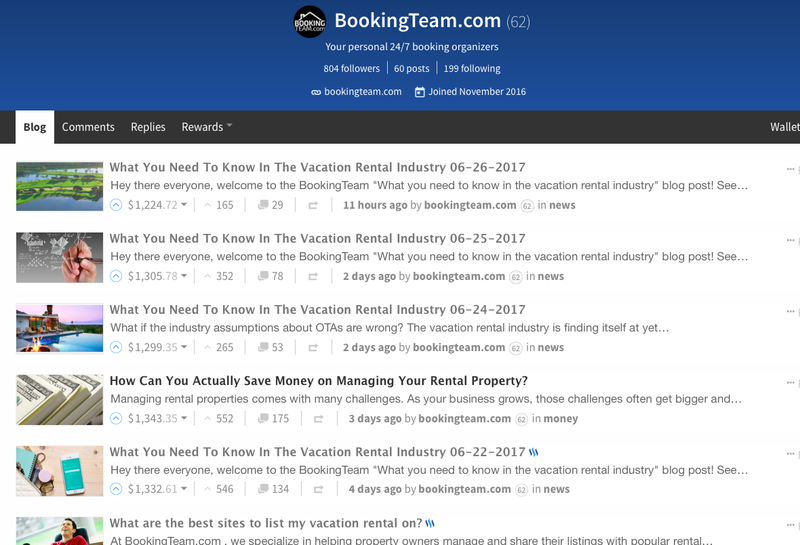 This is a snapshot of @BookingTeam.com's profile. Please Upvote, Resteem and Follow me for the full post on brands publishing to Steemit. There already is a promoted post system which you can take advantage of. Thanks for these important information. I think this is a very good idea, if done right. Hey @paulcoman, appreciate this post. I noticed @engadgetnews is pretty regular on Steemit. Have you seen any other brands start carving out a presence here?